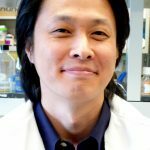 Dr. Lee is currently Associate Professor in the Department of Neurology and Neuroscience at Johns Hopkins School of Medicine, where he continues his research on Familial Dysautonomia. During his postdoctoral training at Memorial Sloan Kettering Cancer Center he established a novel methodology for direct derivation and prospective isolation of neural crest cells derived from human pluripotent stem cells. Dr. Lee aimed to use stem cells to model specific genetic diseases such as familial dysautonomia (FD), a rare and fatal disorder primarily affecting nerve cells. By creating stem cell models, he was able to pursue a systematic drug discovery effort to find potential therapeutic options. Using a sophisticated analytical approach, he screened 6,912 chemical compounds, composed of FDA-approved drugs and natural products, and identified 8 validated hits, which demonstrated the feasibility of performing drug screening on stem cell models. He is continuing to work on rare diseases in his independent position. He completed his postdoctoral studies at MSKCC in Dr. Lorenz Studer’s lab.